Hi, I’m Dr. Brion Weinberg. 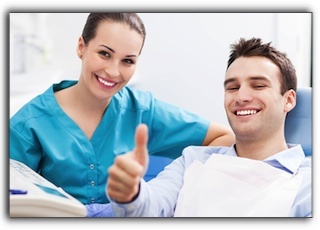 Practicing dentistry at Weinberg Dentistry is both enjoyable and rewarding. I appreciate the relationships I have formed with my valued patients who trust me to care for their teeth. If you are one of my patients, let me thank you for allowing me to serve your dental needs. I know you have many other choices for dentistry in the Palm Beach Gardens area. Kudos to my talented dental team and dedicated administrative staff who keep my honest and technologically advanced Juno Beach practice running smoothly and allow me to focus on what I do best. If you are visiting this blog for the first time and need an experienced dentist, I hope you will consider my practice. You can learn more about our services and philosophy on our website at https://www.customsmiledesigns.com/ or call (561) 420-0770 to schedule a no-pressure consultation. I have been keeping smiles healthy and performing smile makeovers at my Juno Beach cosmetic dental practice since 1999. Each one of my Palm Beach Gardens smile makeover patients values their new smile almost as much as I value their support. At Weinberg Dentistry, we provide a full array of unprecedented cosmetic dental procedures available including teeth whitening, Invisalign clear braces, tooth-colored fillings, dental crowns, porcelain veneers, cosmetic bonding, gum contouring, and crown lengthening. If you don’t make it a point to keep up with the ever-evolving world of dentistry (and who does? ), you might not be aware of the procedures that are now available. Again, thanks for visiting our Weinberg Dentistry website. Enjoy your day. Chipped Tooth? No Need To Panic! Are Dental Implants Worth It For Juno Beach?